This seminar will present research results from a trial in southern Wisconsin on the effect of three training systems: vertical shoot positioning, Scott-Henry, and high wire cordon on the viticulture performance of four cold-hardy grape cultivars: Marquette, Frontenac, La Crescent, and Brianna. Amaya Atucha is an assistant professor of horticulture at the University of Wisconsin-Madison, where she has a research and extension program in fruit crops focused on production practices to increase sustainability and fruit quality. Madeline Wimmer is a graduate student at UW-Madison in the Atucha group. 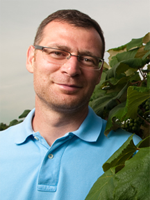 Paolo Sabbatini is an associate professor of horticulture at Michigan State University. 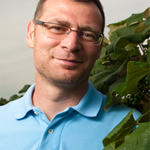 He has research and extension responsibilities in viticulture, and he has evaluated wine grape cultivars to optimize vine productivity and quality for the Northern Grapes Project. Registration will close at 12pm (Eastern) on Friday, March 17th. Registration is NOT required if you received this email directly from Alex Koeberle, as it means that you are a member of the Northern Grapes Webinar mailing list. Feel free to email Alex Koeberle (alk239) with any questions, if you want to check your registration status, or if you’d like to be removed from the Northern Grapes Webinar mailing list. Please DO NOT respond to the Northern Grapes listserve. A recording of the February 2017 Webinar “Tales from the NE1020 Coordinated Variety Trials” is now available online. Please visit this link. Be sure to follow our Facebook page Northern Grapes Project for updates and announcements. We encourage feedback on current webinars and requests for future topics through Facebook. The Northern Grapes Project is online and on Facebook! The Northern Grapes Project was funded by the USDA’s Specialty Crops Research Initiative Program of the National Institute for Food and Agriculture, Project #2011-51181-30850 and through the New York State Specialty Crops Block Program. This entry was posted on Thursday, March 9th, 2017 at 3:33 pm and is filed under Uncategorized. You can follow any responses to this entry through the RSS 2.0 feed. Responses are currently closed, but you can trackback from your own site.